considering that due consultation with the Students was not carried out. We are aware that the election council will hold on the 12th of April 2016, therefore there is no existing clash as regards to that, and from our information, there are obviously no security threats within the School. If there was, the council elections will still be postponed. The university management has obviously neglected the pains and heavy financial burden of the aspirants. The educational and academic constraints that have been borne painstakingly by the same aspirants, their allies and supports have been obviously disregarded. The elections were erroneously fixed on 29th of February 2016 which fell during the period slated for examination without the consultation of the students which was highly detrimental to the academic performance of the students. 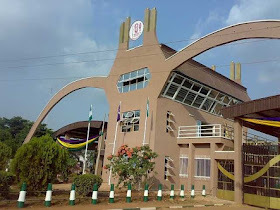 Notwithstanding, the law abiding students of the University of Benin consented to the decision and so sacrificed their academics for the purpose of election only to be greatly disappointed by the subsequent postponement just a day before the scheduled date of the election (without consultation). The management went ahead to fix a new date was on the 12th of April 2016 and thereafter went ahead to postpone the election yet again to 13th of April 2016 with consultation of the students. The students in their goodwill still consented to the decision of the school management. After the management has treated the students with so many disregards, the election date has once again tossed like a coin, underlined by the recent notice of the indefinite postponement of the election. Though it has been rumored to be shifted to between 18th and 22nd, the students are saying enough is enough because our simplicity has been taken for stupidity and our obedience far overstretched. Against this background, the students of the University of Benin are fully asserting that the election slated for 13th of April remains unchanged. Hence the management is obliged to send a notice that the election earlier postponed still holds on Wednesday 13th of April 2016. Should such notice not go round that the schoo on or before 10.00am Monday 11th of April 2016, the management should expect an unprecedented action from the students. We deeply regret the inconvenience and urge the management to assert to our demands.